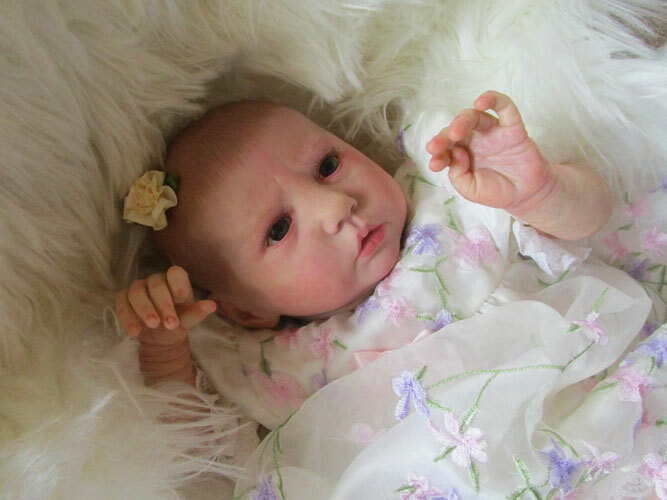 Artisan Baby Girl Doll – Ellie is a one off custom made lifelike awake baby doll individually handcrafted by an Australian artisan and suitable for use in child representation therapy. 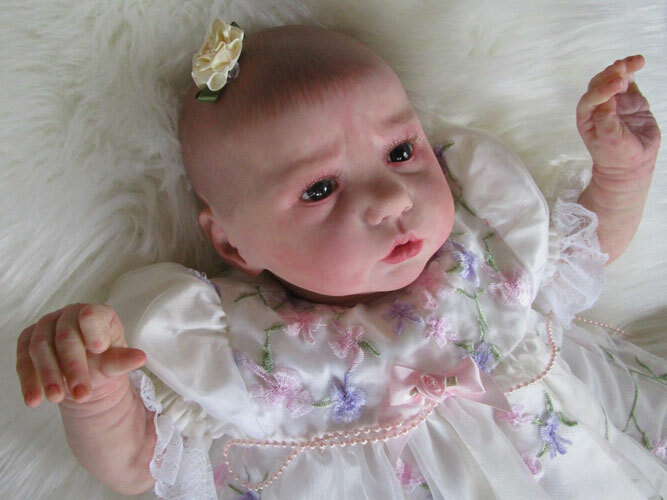 She weighs a realistic 5 lb (2.2 kg) and is 19″ (48 cm) long. Her 3/4 limbs and head are a lovely soft vinyl, painted with many layers of Genesis heat set paints to give her a realistic look, including veining and blushing. 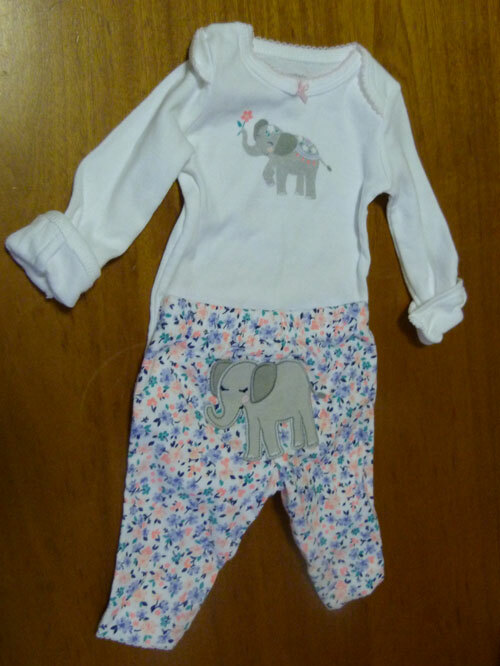 Ellie’s body is fabric and has been weighted to feel like a real baby. 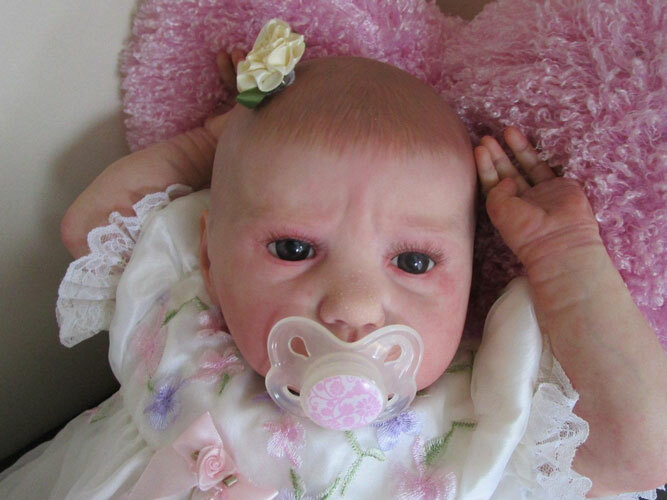 Her head is also weighted and when holding must be supported, just as you would with a real baby. 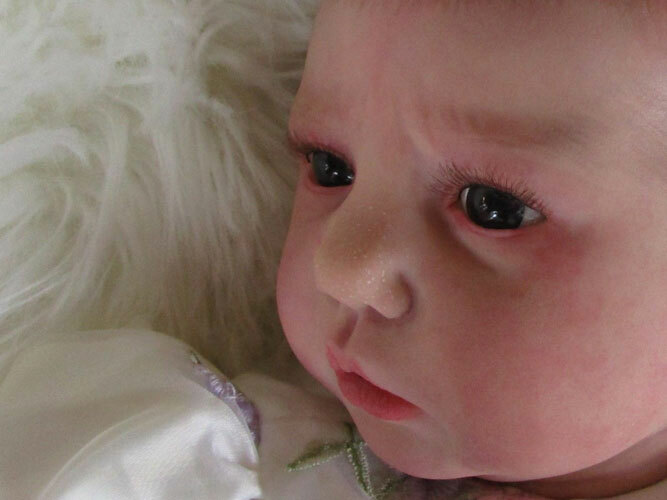 Her hair and eyebrows have been delicately hand painted, and her eyelashes are micro-rooted with quality mohair and sealed on the inside to help keep them safely in place. Her eyes are dark brown and her nose has teeny milk spots.